Tracy wants Luke to take her with him on his journey to find Jerry Jacks. She believes he&apos;ll need her help. Luke’s worried for her safety, and the fact that she’ll be leaving ELQ behind. Tracy calls Luke her partner in crime, and feels she needs to help him. Luke agrees to let her come with him. Franco accuses Carly of trying to kill him, but Carly denies it. Carly shows him the newspaper, and tells him there was a second shooter. Ava quickly mentions Carly could have hired both shooters, and Franco agrees. Franco wants Morgan to stay for Kiki, and Carly thinks Franco is trying to blackmail her. Nikolas and Laura are thrilled when Lulu informs them the baby is a girl. Lulu then tells them how Stavros wanted to consummate the marriage. When she refused, he ordered the hit on Nikolas. Nikolas apologizes for everything his father did, and is grateful Lulu is fine. Liz receives flowers from AJ, and heads off to find Nikolas at Kelly’s. Liz returns his phone, and expresses her anger that he didn’t tell her AJ slept with Carly after they’d broken up. Liz feels Nik left it out on purpose. Nik refuses to defend AJ when he wants Liz for himself. Michael wants AJ’s help in staying away from Kiki. He wants AJ to send him out of the country, but AJ refuses. AJ tells Michael he is not only his son, but also his friend. He updates Michael on the Liz and Carly situation. Michael is shocked to hear the news about his parents, but AJ swears it was only one night and meant nothing. Liz stops by the Quartermaine mansion to see AJ. Shawn tells Alexis he didn’t shoot Olivia, but Alexis doesn’t think that changes the fact he tried to kill someone. Alexis wants Shawn to quit working for Sonny, or she can’t be with him. In exchange, Shawn wants Alexis to quit being Sonny’s lawyer. Lulu tells Laura she saw Luke, and felt something was off. She wonders if Luke was covering for Tracy. However, Laura thinks Tracy may be covering for Luke, and both decide to check on Luke. Franco brings Morgan back in the room, and Carly decides he can stay at the mansion. Morgan is surprised, and wonders what Franco and Ava have on Carly. 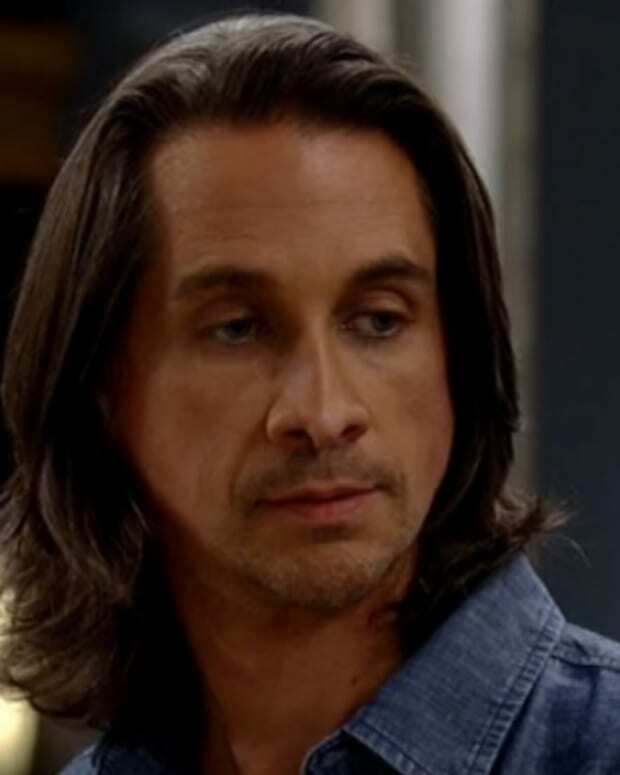 Ava claims Franco is not a threat to Morgan. Carly vows to hold both of them responsible if something happens. After Carly leaves, Ava is thrilled they got the best of her. Franco doesn’t believe Carly hired both shooters, and thinks Ava was behind one of them. Tracy returns to the hotel to find Luke already gone, and a letter telling her to keep things quiet. Lulu and Laura show up to see Luke.